There is no show like This Is Us on television; it's a wholesome family show that takes you on an emotional rollercoaster. You'll laugh, you'll cry, and you'll be angry all before the hour is up. However, there are many shows that come close to giving you those same fuzzy feelings and will have you falling in love with the cast as quickly as you fell in love with Pearsons. While we're waiting for This Is Us Season 3 to boot back up this September, and no longer want to watch This Is Us online, you can binge watch these shows. They'll help fill the void and guarantee an ugly-cry or two. Before there was This Is Us, there was Parenthood. If you love This Is Us because of how much the Pearson family loves each other and enjoy a good cry then I suggest you meet the Bravermans. This family will leave you teary-eyed within five minutes of watching. You'll immediately start connecting with the characters and seeing parts of your own family in them. 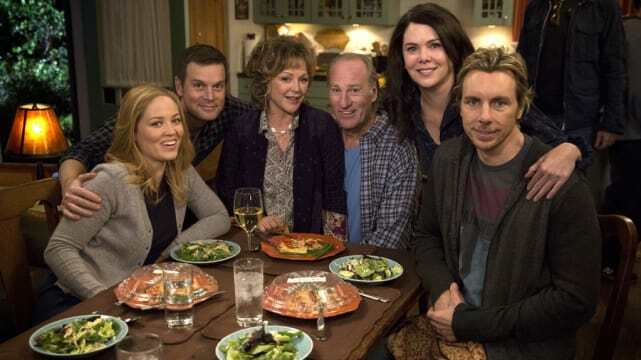 And if you need more convincing, it stars Lauren Graham who plays Lorelai Gilmore on the hit, Gilmore Girls. Just the premise of the show makes us want to cry: a 20-something-year-old aspiring journalist finds her world is turned upside down when she is diagnosed with cancer. And while cancer in itself is always depressing, the beauty of the series is in how April Carver handles the diagnosis, battles the illness with determination and grace, and finds the will to live when it would be understandable for her to give up. Not to mention she has a good group of gals by her side! What started as a story about two small-town step-brothers fighting over a spot on the high-school basketball team grew into a tearjerking drama filled with life lessons, suspenseful twists, betrayals, lifelong friendships and an emphasis on the importance of family. As longtime fans know, there is only one tree hill and it's your home. Since we're on the topic, we have to include Gilmore Girls on this list. 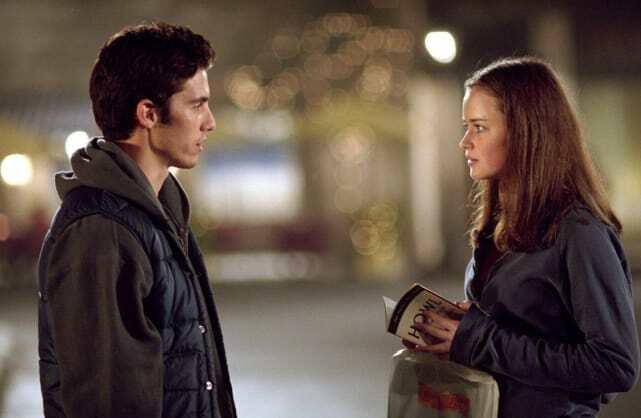 If by some chance you haven't gotten sucked in by the mother-daughter dynamic between Lorelai and Rory or by the small town charm, you need to run to Stars Hollow ASAP. Their swift dialogue and close relationship makes us want to be friends with them. It's actually the reason Netflix revived the show years later. Plus, this is the birthplace of our love for Milo Ventimiglia, who played bad boy Jess, and our coffee addiction. Even if football isn't your thing, you'll still be captivated by the high school football team at the heart of the show. There's definitely a camaraderie around sports, especially in a small town that obsesses over the local team. You'll get glossy-eyed as these characters deal with family hardships, failure, first love, grief and the realization that the glory of being a high school jock isn't forever. Freeform shows are good at two things -- uniting people and making them cry. 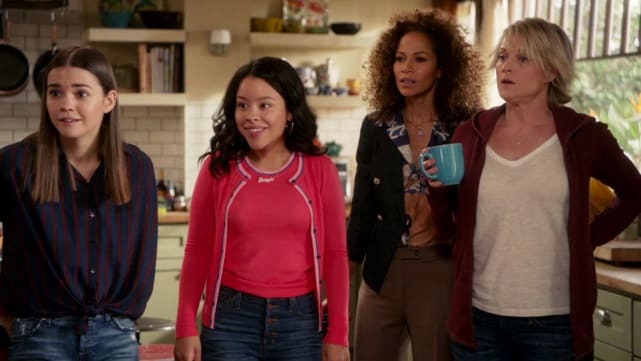 Two moms, Stef and Lena, raise a non-traditional family; some biological children, some adoptive and some fosters who have been damaged by the system. With such a mix, the painful storylines are aplenty and emotional struggles and societal issues are at the forefront. Days of Our Lives Round Table: Is Salem Filled With Boring Couples? Days of Our Lives Round Table: Who Is The Most Selfish Person In Salem? Jane the Virgin Review: Guess Who's Back! Days of Our Lives Round Table: Who Wants Rafe To Sign Those Papers?